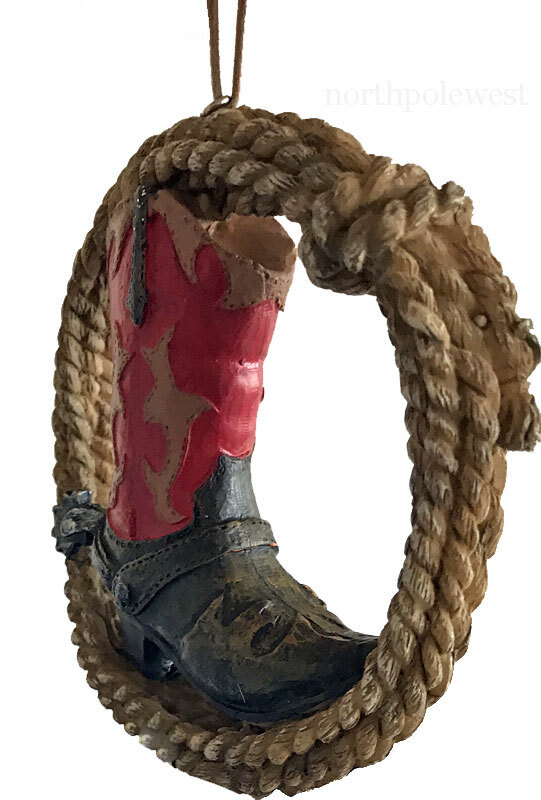 A very well detailed ornament - the rope looks real and the cowboy boot even has a spur. 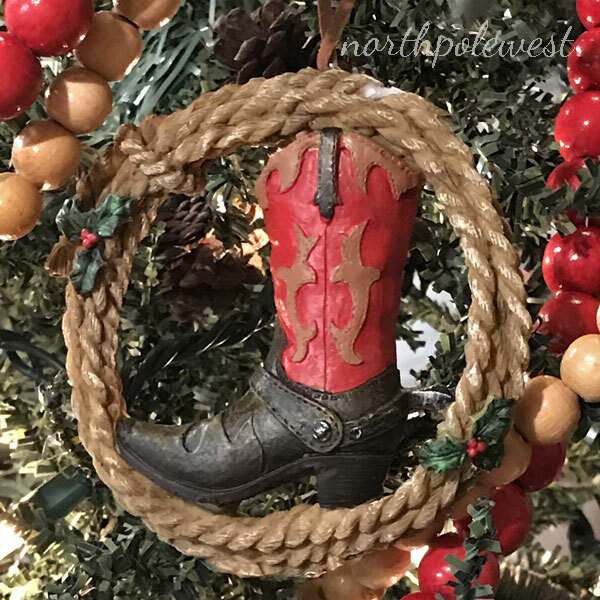 The front has holly in the lasso, the back does not, so you can turn it over after the holiday and use it as a western accent all year. The reverse side does show the spur. This is a good sturdy piece that will show up well on tree and wreath. 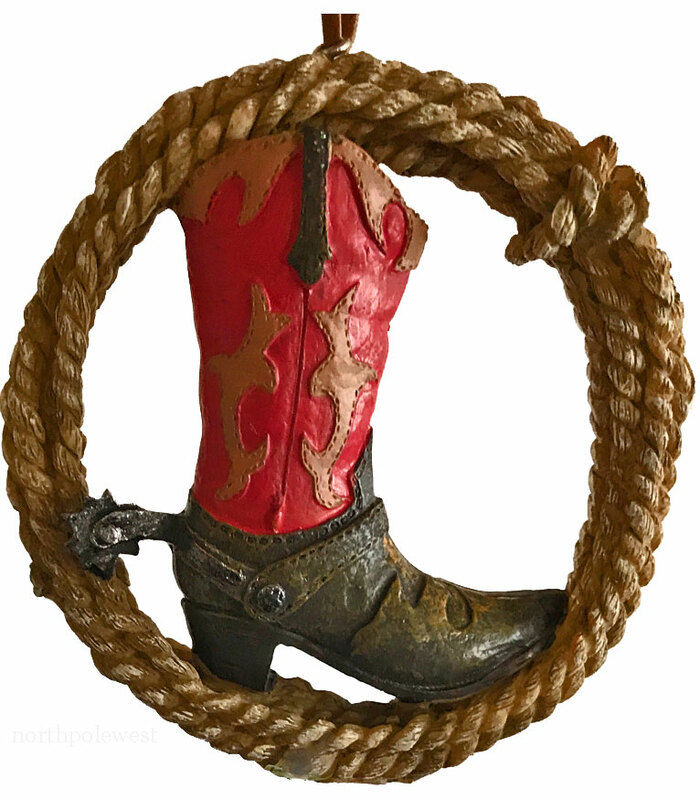 A very well detailed ornament - the rope looks real and the cowboy boot even has a spur. 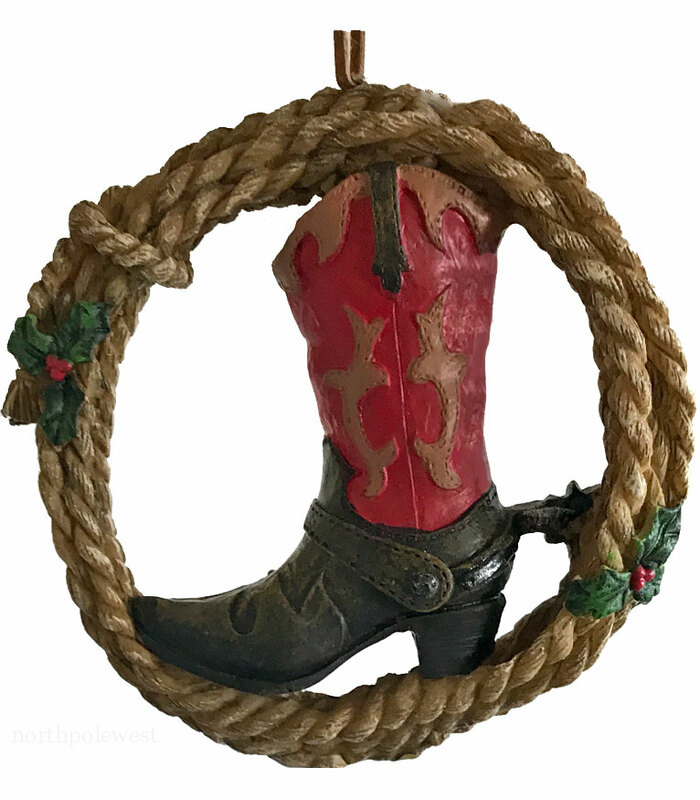 The front has holly in the lasso, the back does not, so you can turn it over after the holiday and use it as a western accent all year. The reverse side does show the spur. This is a good sturdy piece that will show up well on tree and wreath. Come with leather-look hang loop.